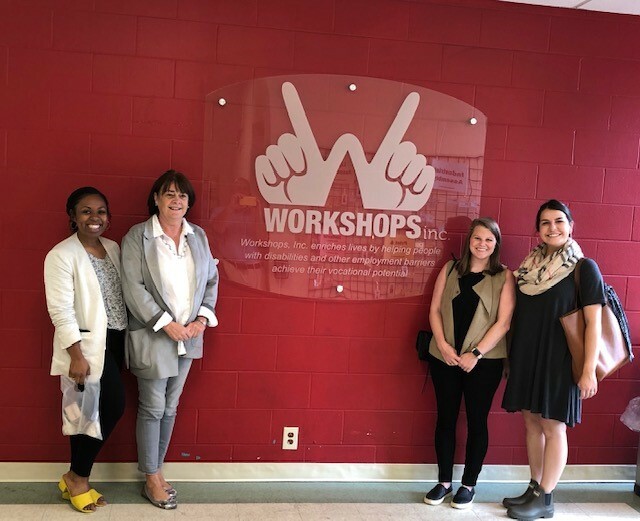 Workshops, Inc. : News & Events : Look Who Toured Workshops, Inc.! 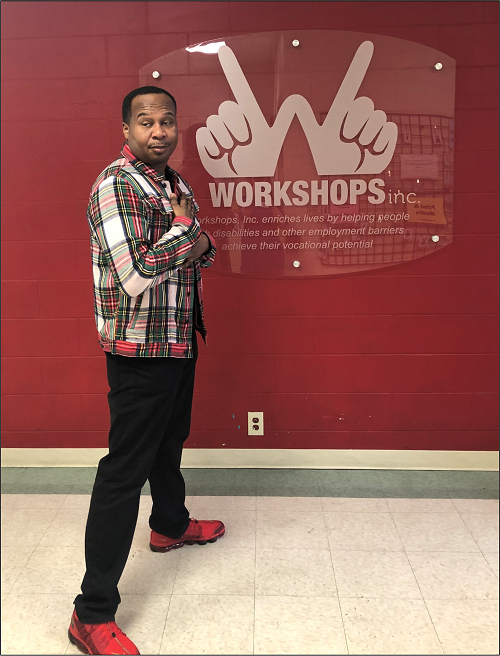 We were honored that Roy Wood Jr., star of our 2019 Comedy for a Cause, wanted to tour Workshops, Inc. and made it a priority on a recent trip home to Birmingham. He talked to everyone, took videos and pictures throughout the tour, and was of the most engaged - and engaging - visitors we have had. Hope he'll come back soon. 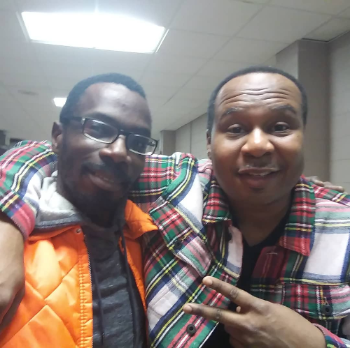 Roy Wood Jr hanging out in the lobby. Roy spoke to every production worker he met. Kathy Dunn showed Roy around all of the production areas. They are fast friends now! It wasn't until he heard Roy's voice . . .
Taris came running up to Roy, barely able to speak, talking about how much he loved him on the radio, and loved hearing him on the Rickey Smiley show. Roy stopped everything to talk to him and take some pictures. 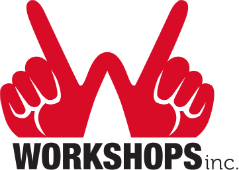 We love to show people what we do here at Workshops, Inc. and a tour is the ideal way. Schedule a tour for you, your business, church group, social group, or just friends and family. Call Mary at 205-592-9683 ext. 250 to setup a time! The folks from Peritus Public Relations, came by to tour as part of United Way's 2018 Campaign. They asked great questions, made good observations - and one of these lovely folks may be joining our Junior Board! 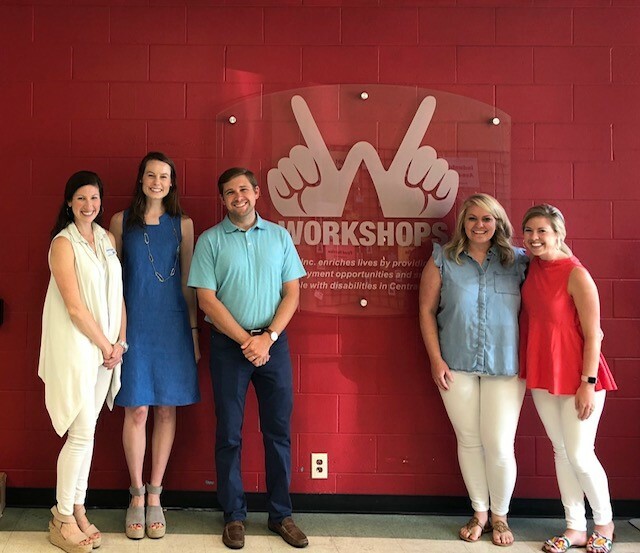 A group of 2018 United Way Loaned Executives toured Workshops August 20. United Way is a great partner for Workshops and so many other agencies. Ernst & Young Employees came on August 3. And they brought us breakfast from Panera! !